Ruth Selma Paige was born on May 17, 1931, in Aplington to her parents Rudolph and Harmka (Mohlendorp) Lancelle. Ruth attended Aplington High School, graduating with the class of 1948. She was united in marriage to Lawrence A. Paige on June 15, 1950, at the Little Brown Church in Nashua. Ruth and Lawrence had six children Jeff, Mike, Matt, Tony, Vicky, and Barb. 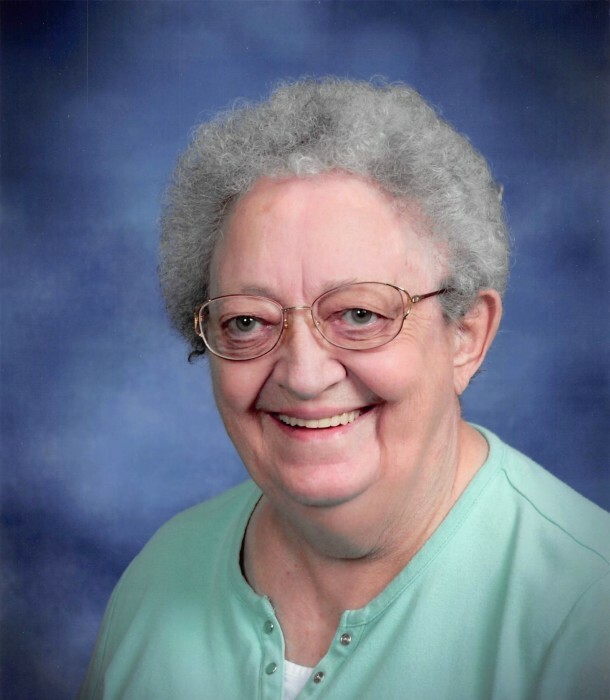 She worked as a lunch lady for the Reinbeck Community Schools for many years. Ruth’s time was most enjoyed spending it with her family and friends. She was a die-hard Cubs fan and enjoyed reading in her spare time. Ruth is survived by her children Vicky (Steve) Arends of Cedar Falls, Barb (Rick) Storjohann of Norwalk, Jeff (Kai) Paige of Grand Island, NE, Mike (Renee) Paige of Waterloo, Matt (Karla) Paige of Bondurant, and Tony (Amy) Paige of Yukon, OK; 22 grandchildren; 21 great grandchildren; 1 great-great grandchild. She was preceded in death by her parents, husband, infant son Scott, 4 sisters, and 3 brothers.